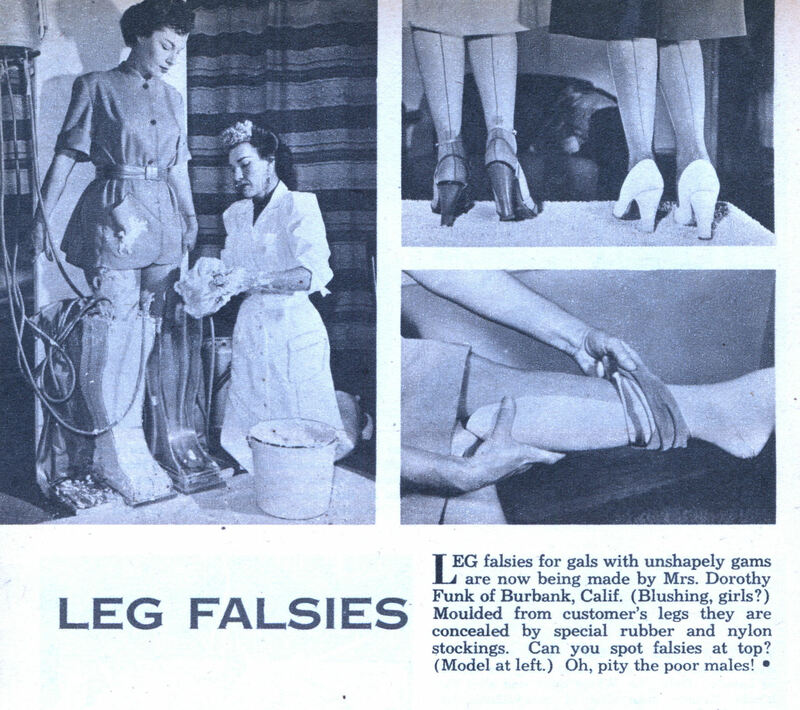 LEG falsies for gals with unshapely gams are now being made by Mrs. Dorothy Funk of Burbank, Calif. (Blushing, girls?) Moulded from customer’s legs they are concealed by special rubber and nylon stockings. Can you spot falsies at top? 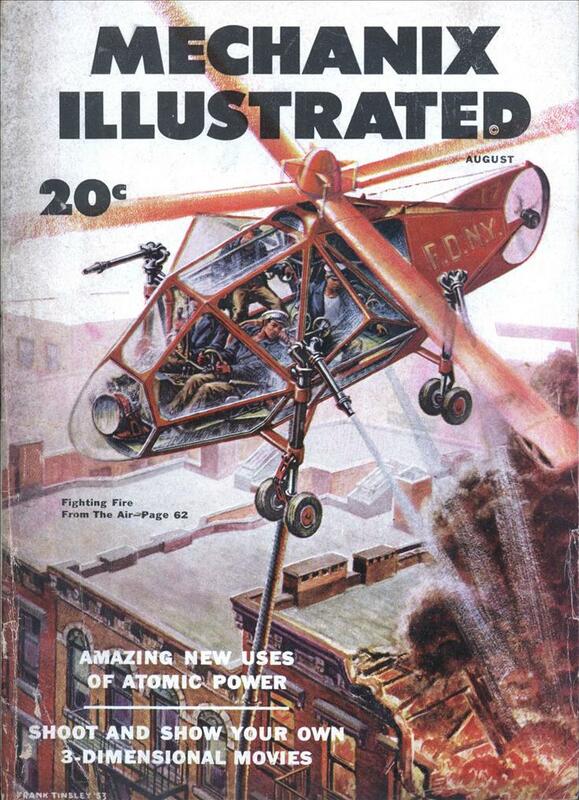 (Model at left.) Oh, pity the poor males! Maybe these make sense used as costumes in film. But in everyday life? Ugh. “Oh, pity the poor males!” Yes, definitely. “Can you spot falsies at top?” Yes, I can. And pity the males? Pity the poor females whose legs (at normal weight, at that) weren’t good enough. And the males who would appreciate these are probably the same ones who will get pec implants.